How can we not stay the course? We will continue to advocate for those who need a voice – for the long term. 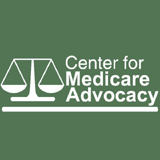 Entry filed under: Access to Health Care, Health Care Reform, Help for Low Income People, Home Health, Improvement, Jimmo vs. Sebelius, Judith Stein, long-term care, Medicare, Medicare Reform, Public Option, Public vs. Private Health Coverage, Uncategorized, Vouchers. Tags: Affordable Care Act, Deficit; Medicare, Fact and Fiction, Health Care Reform, Public plan. It’sactually a cool and helpful piece off information. I’m glad that you shared this useful info with us. Please stay us up to date like this. Thahks for sharing.